 Objective This study aims to evaluate the effectiveness of a draft occupational health guideline, aimed at preventing weight gain, on employees’ body weight-related outcomes, cardiovascular disease (CVD) risk factors, and quality of life. Methods In a cluster randomized controlled trial including 16 occupational physicians (OP) and 523 employees, guideline-based care was compared to usual care by OP between 2009–2011 in the Netherlands. Guideline-based care consisted of (i) providing advice to employers on how to assess and intervene on the obesogenic work environment, (ii) conducting five face-to-face behavioral change counseling sessions with employees to improve their lifestyles, and (iii) evaluating the outcome and maintaining sections i and ii. Data were collected at baseline and 6, 12, and 18-months follow-up. To evaluate the effects of the intervention, multilevel analyses were performed. Results No significant differences were found between the intervention and control group on waist circumference [β 1.2 cm, 95% confidence interval (95% CI) -0.6–2.9], body weight (β 0.3 kg, 95% CI -1.0–1.6), body mass index (β 0.1 kg/m2, 95% CI -0.3–0.5), systolic blood pressure (β 1.7 mmHG, 95% CI -2.4–5.8), diastolic blood pressure (β 0.3 mmHG, 95% CI -1.0–0.6), cholesterol (β 0 mmol/l, 95% CI -0.2–0.2), or quality of life indicators after 18-months follow-up. Stratified analyses showed an increase in waist circumference among men (β 2.5 cm, 95% CI 0.5–4.5) and obese intervention participants (β 2.7 cm, 95% CI 0.6–4.7) compared to control participants. Conclusion The draft occupational health guideline was not more effective than usual care. Therefore, the guideline in its current form cannot be recommended for implementation.